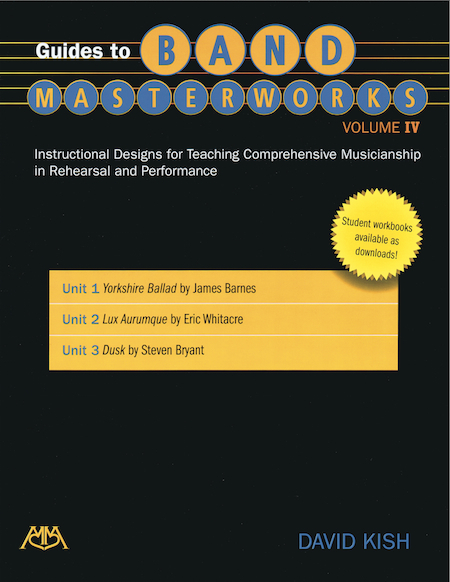 Guides to Band Masterworks with downloadable student workbooks provides band directors with a ready-made curriculum developed to incorporate comprehensive-musicianship training through quality band literature. When incorporating unit studies as a regular part of the band curriculum, students move beyond simply rehearsing pieces for a concert. They develop long-lasting benefits, growing as musicians and learning to love the music they perform. Every unit study integrates technical skills, musical knowledge and creative projects that lead student musicians to an enlightened and expressive performance. Click here for a YouTube video on Guide to Band Masterworks ¯ Volume 4.